A wide range of pollution sources were identified and actions taken to either rectify the issues immediately or prevent further harm. Mornington Peninsula Shire Council (MPSC), is one of Victoria’s major coastal municipalities, and has a strong interest in the sustainable management and protection of its coastline and Port Phillip Bay. The Innovative Water Quality Assessment project was undertaken in response to the problems posed by reoccurring bacterial beach advisories (from EPA Beach Report) and a number of algal blooms identified between 2011 and 2013. This first part of the project aimed at identifying the potential presence and location of cross-connections. It included the installation of ammonia passive samplers to identify high-risk sub-catchments, as well as DNA investigations to test for human faecal pollution (using E. coli as a surrogate indicator organism). Shire’s Environmental Health Officers (EHOs) were involved in the installation, monitoring and data analysis. Two drains were identified for further action, which involved removal of cross-connections. The second part of the project focussed its effort on reducing the pollution produced by food businesses. A Shire officer (funded by the Living Rivers Program) undertook an education program in Mornington and Mt Eliza, which was then expanded to cover all coastal areas of the Peninsula. 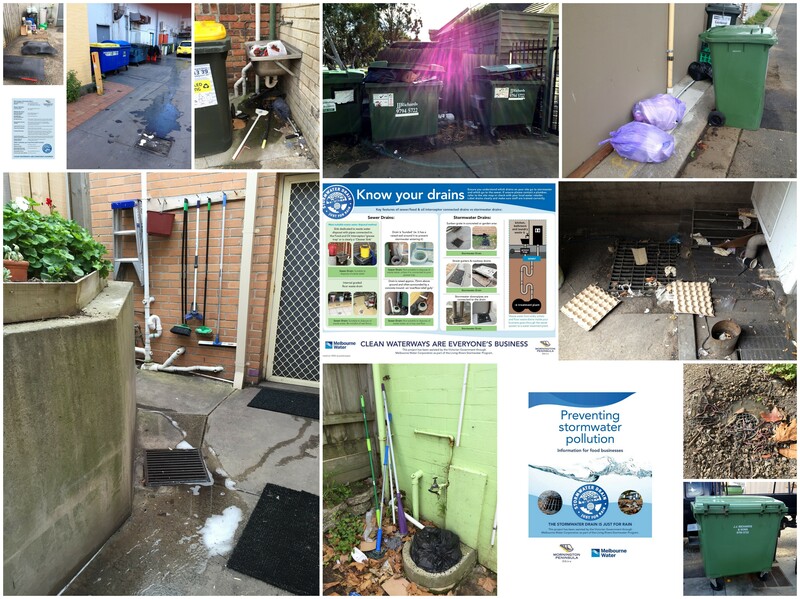 Initial visits in June 2013 by the Shire officer and South East Water found several onsite practices were contaminating the stormwater, such as direct disposal of mop water or washing of waste bins. Only 33% of the businesses had the suitable on-site infrastructure to dispose of their mop wash water. 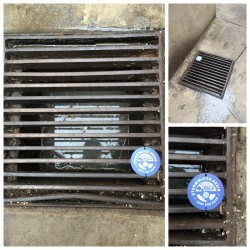 Surveys conducted with key staff in a cross-section of restaurants, takeaways and cafes highlighted strong knowledge gaps around stormwater (what it is, where it ends up etc.). As a result, the Shire developed and delivered a wide ranging education program for food businesses including face-to-face visits, information kits, drain labelling and the development of new infrastructure standards. The last part of the project was aimed at identifying faecal contaminants and their microbial sources. MPSC partnered with Monash University, who undertook a comprehensive study into coliform communities at seven Melbourne beaches and in the upper Yarra Catchment. The study involved trials of new assessment techniques to identify faecal contaminants and their microbial sources (using DNA profiling and “sink and source” methods). For further information and outputs of the project, please refer to the journal publications listed in the related weblinks (right hand side). A range of pollution sources were identified through this study, which prompted the Shire to start work on a rectification program (details below). MPSC is committed to meeting best practice in improving water quality, as outlined in the Shire’s integrated water management plan (Smart Water Plan, 2013 – 2017). This project also supports the delivery of three of the eight strategic goals in MPSC’s Strategic Plan, namely enhancing public places and spaces, enhancing the coastal experience, and supporting a sustainable economy. The project aligns with the action plan for the Yarra River and Port Phillip Bay (DSE, Oct 2012), particularly Action 6: ‘work with catchment managers to improve water quality at beaches in Port Phillip Bay’. Identify sources of pollution: First, narrow down possible sources through a risk assessment approach, and later through targeted source tracking. 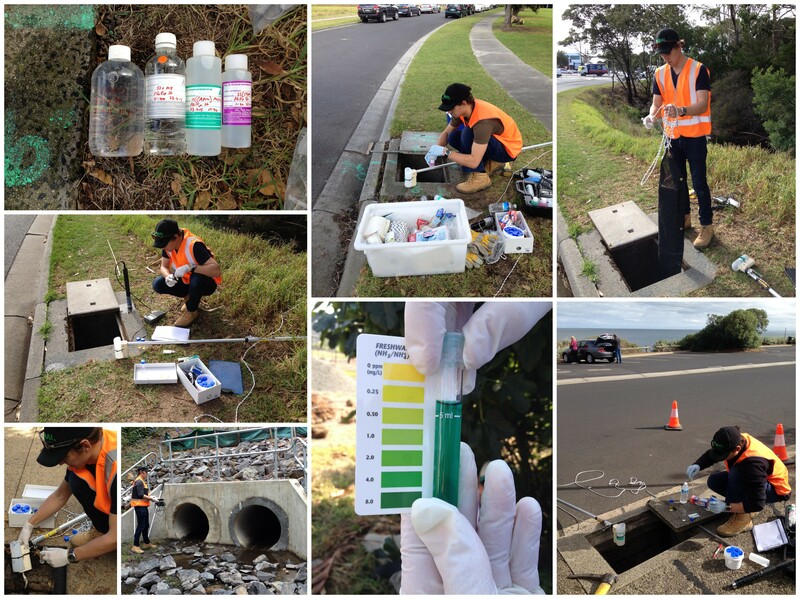 Build Council staff skills and knowledge in the use of simple test kits to highlight elevated pollution sources. This later extended to the development of improved data management systems to track premises (both commercial and domestic) for suspected non-compliance. Develop and resource a tailored community/business engagement program supported by local policy standards with the aim to improve business practices and onsite infrastructure for appropriate wastewater management. Work collaboratively across Council departments and with partner organisations to address pollution risks through source investigations, community engagement and subsequent infrastructure upgrades/ rectification – as necessary. Improved water quality - EPA Beach Report sampling results show that overall recreational water quality has improved along the coastline of MPSC. New skills acquired - MPSC officers acquired a range of practical new skills, such as undertaking rapid indicator testing for ammonia. Pollution sources identified - a wide range of pollution sources were identified and actions taken to either rectify the issues immediately or prevent further harm. A more effective maintenance regime for a gross pollutant trap in Rye. A new infrastructure standard for all new, change of ownership or renovated food business premises to install a dedicated cleaner sink or floor waste gully for the correct disposal of wash waters (separate from sinks to clean food handling equipment). Increased awareness of source pollution impacts - both in the general community – through the introduction of pit labels – and for food businesses. 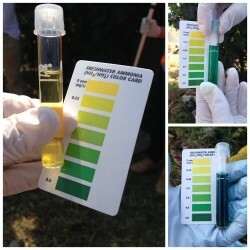 Emergence of new technologies - DNA tracing project allowed the development of new techniques to detect faecal contamination within just four hours of sampling. For further information please refer to the journal publications listed in the related weblinks (right hand side). Target training to ensure appropriate sampler deployment, handling, interpretation and safety considerations and develop standard procedures to prevent OHS risks to staff. Liaise with the local water retailers, so potential sewage issues (such as cross-connections or leakages) can be resolved efficiently. Conduct in-depth investigations before any actions are taken when looking into stormwater pollution, because rushed (and incorrect) management decisions could be taken based on incorrect assumptions. Clearly present information that’s relevant, address the needs of the audience, use visuals where possible, focus on solutions, provide financial incentives (e.g. awareness of fines for non-compliance) and deliver face-to-face where possible. Dedicate a “go to” person to drive the best possible approach and outcomes. GIS mapping to help trace stormwater drainage and impacts from associated assets is critical. Deploy cost effective rapid testing kits allowing staff to quickly assess the presence of pollutant issues associated with nearby premises and take appropriate action in a timely manner. Build the profile for greater buy-in from council and the community by notifying local committees, friends groups and Councillors regarding the investigative work and actions. Collaborate between teams (e.g. Environmental Health Officers and Water Officers) to increase effectiveness of implementation (through the development of new standard kits and audit procedures for example). 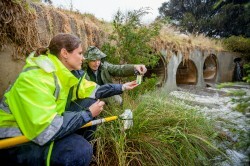 Melbourne Water’s Living Rivers Program contributed to the funding for this project.